Located in Harnett County, this North Carolina State Park sits high above the Cape Fear River. Serving as a getaway destination for those in Research Triangle Park, Fayetteville and beyond, the park offers picnic areas, places for fishing and canoeing, and campgrounds, as well as hiking and horseback riding trails. 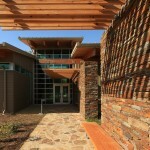 Now, the park also features a new 9,273-square-foot visitor center. 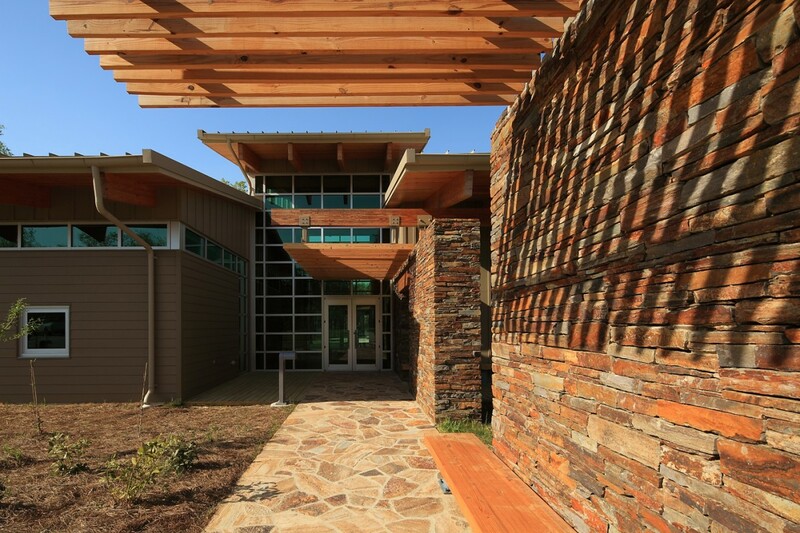 Aimed at providing education, the visitor center includes indoor and outdoor classrooms, a teaching auditorium, an exhibit hall, offices, a lobby with reception area, staff offices and public restrooms. The project also includes two freestanding picnic shelters. 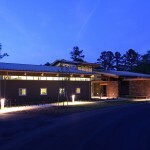 In keeping with the North Carolina State Park System’s initiative for environmentally construction, the facility is registered as a Leadership in Energy and Environmental Design (LEED®) Silver project. These elements include a geothermal water sources heating system, locally harvested landscaping materials and solar collectors for hot water. 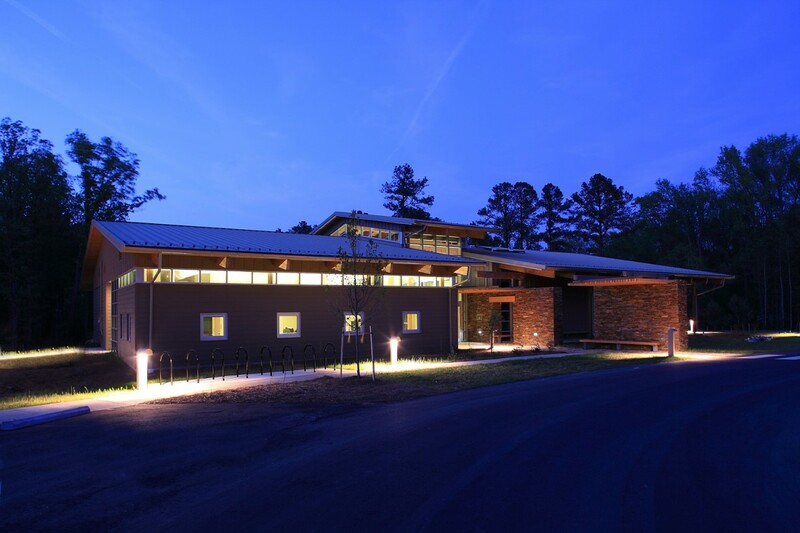 Stewart was responsible for the structural engineering during this project, which utilized exposed glued-laminated beams / columns, masonry and OSB sheathing on metal stud walls. The lateral system was challenging due to the limitations of wood framing and the strip windows in the exterior walls. Stewart used a combination of masonry shear walls and metal stud shear walls to resist the lateral loads.